Who we have been talking to and working with. When any business first starts out, and you are talking to a new client, one of the first questions you are asked is who are you woking with? So I thought I would share some of the interesting organisations we are now working with and groups we are being asked to speak to. Last year Karen ran a couple of sessions for Semafone during their Mental Health Awareness week and is going to be running 3 sessions this year. Mental Health awareness week is 14th-20th of May this year. Ann spoke to the Local Employer Network in Exeter for organisations who've committed to promoting & supporting mental health at work - the title was 'The Power of Thought on Our Wellbeing'. The Corporate Soul team were at the CIPD Health and Well being conference at Exeter Race course in October and we also attended the Eden Project the previous year where we ran a workshop. In January Tara delivered a workshop for the Birmingham Branch of Women in Banking and Finance. The session was called Build Resilience Reduce Stress, we had over 45 participants and they all loved the Mindful Movement session. This helps to reduce the tension in our neck and shoulders caused by too much sitting at the wheel of a car or a desk. 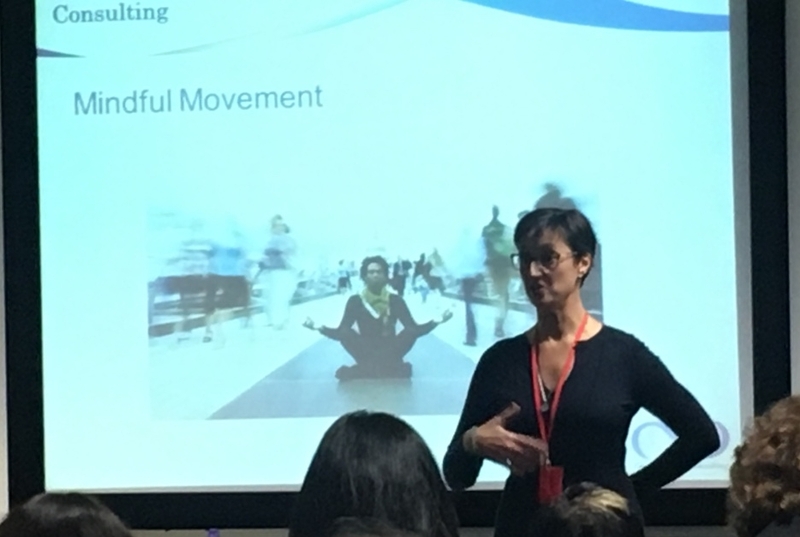 In February Tara ran a couple of workshops on Mindfulness and Resilience for a Major Retailer, the audience was made up of store mangers and regional contacts, when they had completed the breathing and Mindful Movement practice, the Group HR director commented on how peaceful the energy in the room felt. Tara has also been working with a Birmingham based charity RSVP, she is designing a series of Lunch and Learn workshops with the following themes. Motivation, Values Alignment, Resilience and Stress and Ways of Working. If you would like to know how we can help your organisation then please get in touch.